Support has expired for these versions and they are unsafe to use. Is the PC Desktop Dead? The following pages on this site deal with issues of using the Internet and Internet software. See Software & Hardware for downloads of Internet software. Copyright — who owns content on the Internet? This section of my site contains more than 80 pages, each containing documentation, troubleshooting hints, advice and suggestions supported by relevant external links. Indented bullets on this index page are sub-topics found within a page. This site is built using techniques that are responsive to screen size. This side panel (“aside”) will appear to the right of the main content on most devices, but at the bottom of the main content when viewed on narrow screens like smart phones. The content is designed for you to help yourself and includes both introductory and advanced material. I've often documented the steps I'd perform in providing professional services. I regret that I cannot provide free technical support. I earn my living providing such services. It takes time to research each solution. Please ensure that you've included enough information to make a reasonable answer possible. Note my business hours & location. I work afternoons only. Although care is taken in choosing links, I have no control over external content. Where possible, I link to secure (HTTPS) addresses. Some sites may display a warning that the pages contains linked insecure content within their page (this is beyond my control). Due to the nature of the Internet, linked resources can disappear without warning. I do my best to maintain the site, but there are thousands of active links and checking them takes a great deal of time. If you have link suggestions, please review my link guidelines completely. Most of your questions are answered there. Your use of this site is subject to the conditions of use. Please read them before contacting me. Reproducing content on this site is not permitted without express written permission. If you find documentation that is incomplete or inaccurate, please contact me with the specific page, topic and any suggested corrections. If you have a suggested resource (not a correction), please review my policy on link requests on the Contact page. I rarely respond to link requests. I do not exchange reciprocal links. I do not link to competing services like SEO/design companies. This is NOT a blog nor do I accept guest posts. 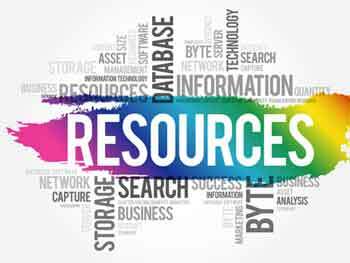 “Resource pages” irrelevant to your site's main purpose are seldom linked.